Prof. Dr. Paul Ling Tai is the Chairman of the Department of the Post Graduate Medical Education and Chairman of the Department of Medical Research at University of Health Science Antigua (UHSA), School of Medicine & School of Nursing. A Professor of Aging & Regenerative Medicine & Professor of Clinical Nutrition. ; Chairman & President of the Brasil American Academy of Aging & Regenerative Medicine (BARM), Institute of Bones, Joints & Muscle Pain, International Society of Obesity & Metabolic Dysfunction, American Academy of Anti-Aging Clinical Nutrition & International Society of Stem Cell & Genetics. ; A past faculty member and lecturer of the American Academy of Anti-Aging Medicine (A4M), American, and World Organization of Natural Medicine Practitioners (WONMP); a frequent lecturer at American Naturopathic Medical Association (ANMA) and countless other Anti-Aging & Health Conferences worldwide. He is also a member of the International Hormone Society and the World Society of Anti-Aging Medicine (WOSAAM). Prof. Dr. Tai was one of the academic contributing authors to the Anti-Aging Medical Therapeutic publications published by the A4M. He is a Board certified Physician and Diplomate by the American Board of Anti-Aging and Regenerative Medicine; a Diplomate & Certified Clinical Nutritionist of the American Clinical Board of Nutrition. Prof. Dr. Tai is part of an elite group of physicians that is officially certified to practice, prescribe, & teach doctors in clinical nutrition diseases; The Head Research Coordinator of a Multi-Center Clinical correlation Study on Endocrinology & Saliva Test – A Co-Project with University of UniAmericas, Brazil. Prof. Dr. Tai has been featured in many renowned medical newsletters, television appearances, and radio health talk shows nationwide. 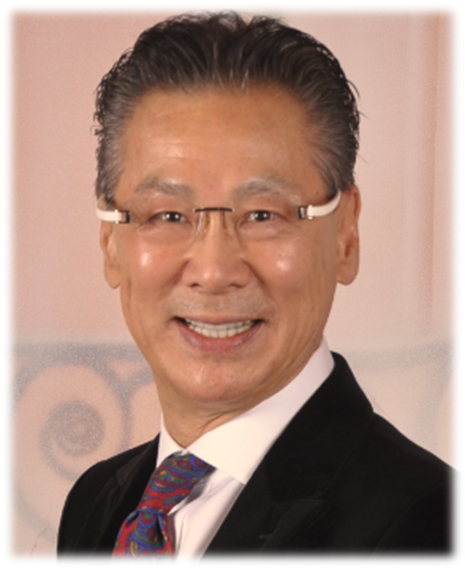 Prof. Dr. Tai is a member of the surgical staff at Annapolis-Oakwood Hospital in Detroit, Michigan, a trained Podiatric Medical Physician and double Board certified surgeon specializing in reconstructive plastic surgery of ankle and foot. He has served under two Michigan State Governors and was recognized with a Vice Chairman’s position on the Michigan Board of Podiatric Medical Licensing and as Chief Examiner for new Podiatric physicians. He also served as head of Surgical Residencies. In additional to his various capacities, Prof. Dr. Tai has served as Chairman of the Podiatric Physicians Continuing Education, as well as Chief Compliance Officer for the state of Michigan, supervising doctors. He is the Professor of Anti-Aging at University of Paulista (UNIP) in Sao Paulo, Brazil; Coordinator for the Master in Public Health, Anti-Aging and Regenerative Medicine. Past Chairman & President of the American Academy of Anti-Aging Medicine (A4M) of Brazil; Past Official Latin American Delegate for the World Anti-Aging Academy of Medicine (WAAAM). A professor in the New York College of Podiatric Medicine’s Department of Integrative Medicine; Prof. Dr. Tai is an expert in herbal and cosmetic compound engineering, clinical research and development with Fourteen (14) U.S. Patents credited to his name. Prof. Dr. Tai is a Knighted Physician, a member of the Royal College of Papal Knights in Americas, granted by the Vatican, His Holiness Pope BENEDICT XVI, and Grand Physician General of the Sovereign Medical Order of Knights Hospitaller. He is also the medical consultant to thousands of doctors on difficult cases all over the world, earning him the title of the “Doctor’s doctor” and “Doctor of last resort”. Prof. Dr. Paul Ling Tai is a best seller author of books “Cordyceps Miracles”, “8 Powerful Secrets to Anti-Aging” and “Thin Factors” with published Clinical studies completed by Dr. Steven Morganstern, MD on patented technologies and scientific solutions to Weight Loss and Obesity. He also authored: “Fabulously Beautiful You”, “Noninvasive Plastic Surgery and Anti-Aging”, a textbook revealing the breakthrough technologies in healthy aging skincare, noninvasive plastic surgery, skin restoration and skin fitness, and latest breakthrough US Patent Weight Loss Technologies. His Latest blockbuster book is the “Gold Book of Anti-Aging & Regenerative Medicine” Volume I & II.